Last week in Bangladesh, I ate something which created havoc with my innerds. Spend 24 hours clinging to toilet bowl and then another 2 feeling weak, bleary and nauseous with no desire to eat. Am now in India, will write more re this later, but there is a bit of a ‘missed’ patch where I had to summon all my strength to function. Have lost 6kg. Am sure it will come back now feeling more stable, but will stay quiet for a few days. It is a shame as there were so many people to see/thank etc. Managed but declined all food and slept in between. 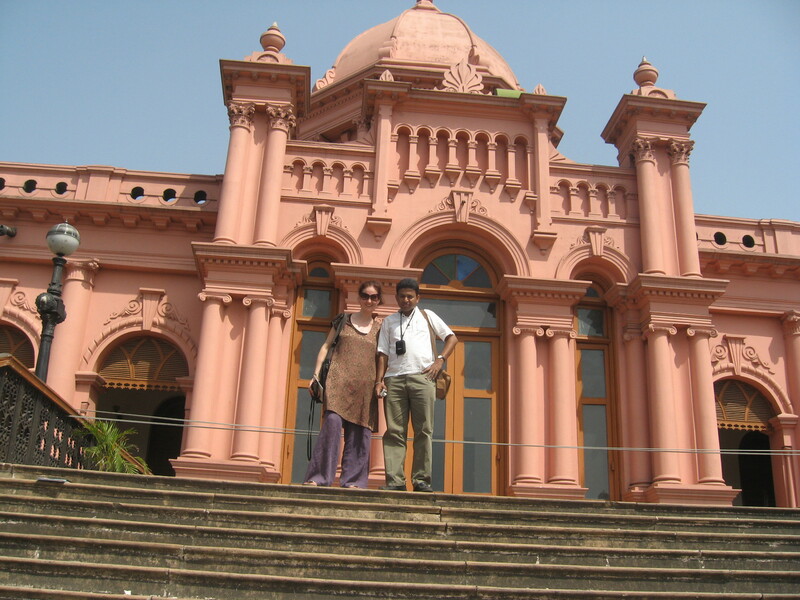 I did get taken on a tour of some of the highlights of old Dhaka by the headmaster of the Child Heaven School, Srijan Das. Was amusing wandering the old palace museum as electricity cuts (typical) meant most of the objects were barely visible in the gloom and dust. For the locals, especially the children, following me around the museum was the highlight of their visit. Was so touched by Srijan’s generosity, taking me to all sorts of places, introducing me to people, and best of all; he found me a copy of Jassim Uddin’s ‘Field of the Embroidered Cloth’. Had enquired about libraries. 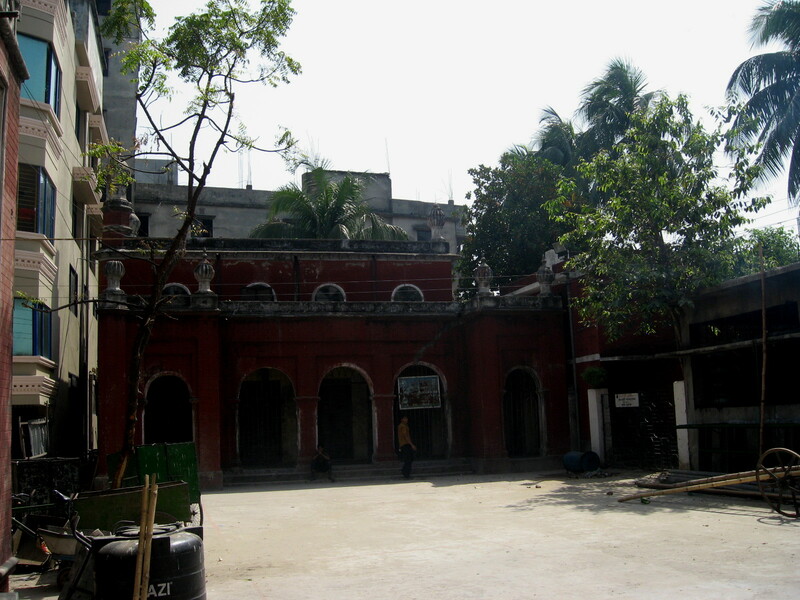 Sad to see the municipal library shut and barred, behind an old theatre, also shut. Britto has used the theatre for an art installation; can see the potential of finding a way into that tomb of a library too. 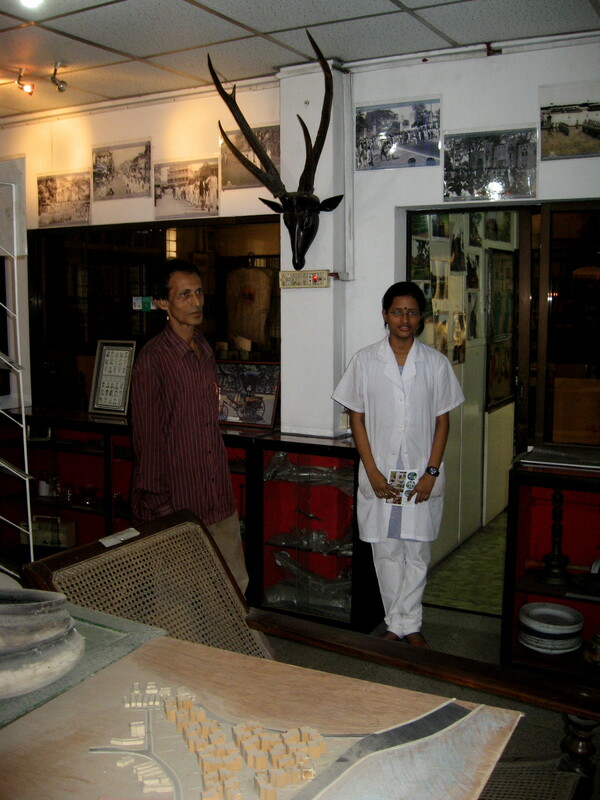 Srijan did take me to the collection of a private businessman who is concerned about the disappearing heritage of Dhaka. 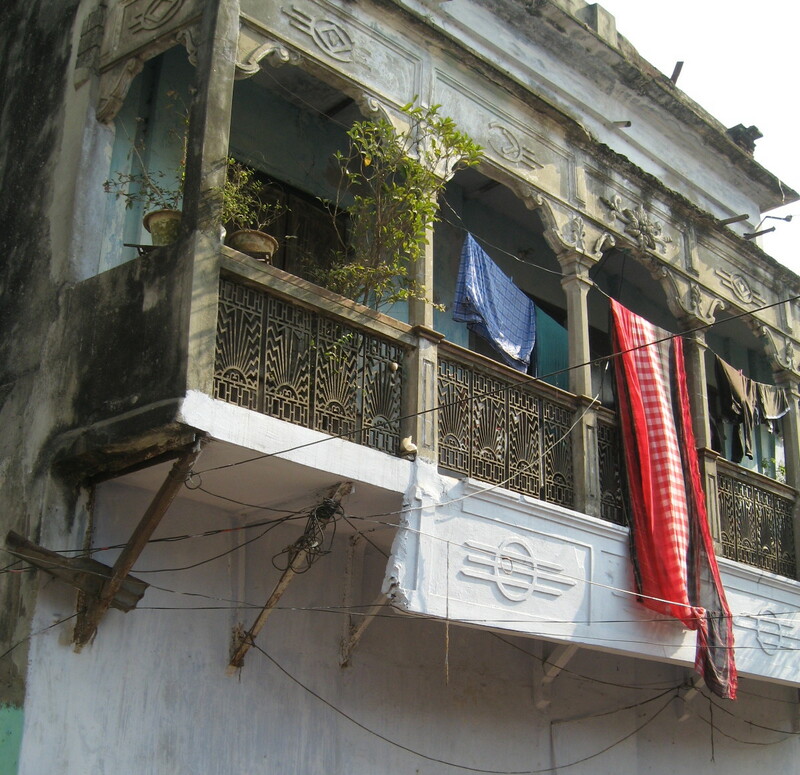 He has started a small library and museum dedicated just to the city of Dhaka. It was a little sanctuary on a rooftop, with a garden where they have concerts. Unlike the municipal museums, it was permitted to take photos and walk in any direction! 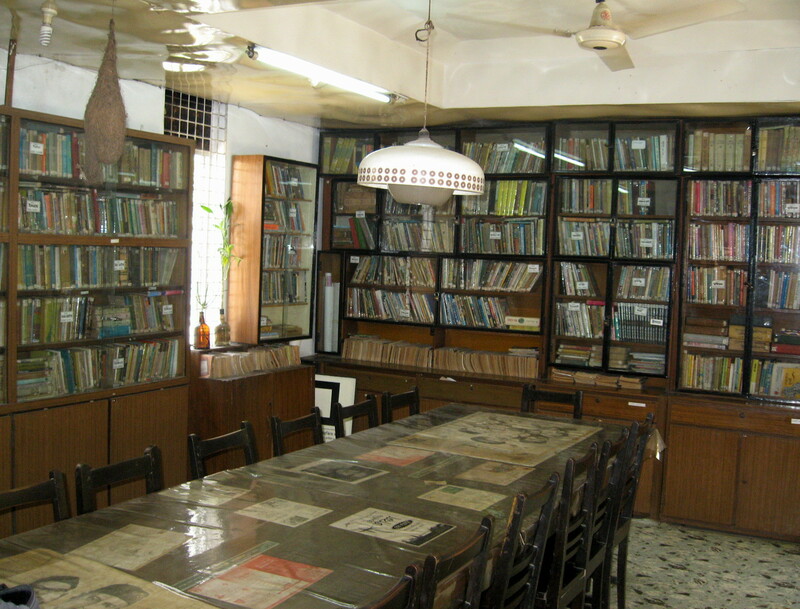 The library is open to the public, mostly used by local children, and not widely publicised. They are actively seeking out old books and objects from the local area though and have started an interesting collection. 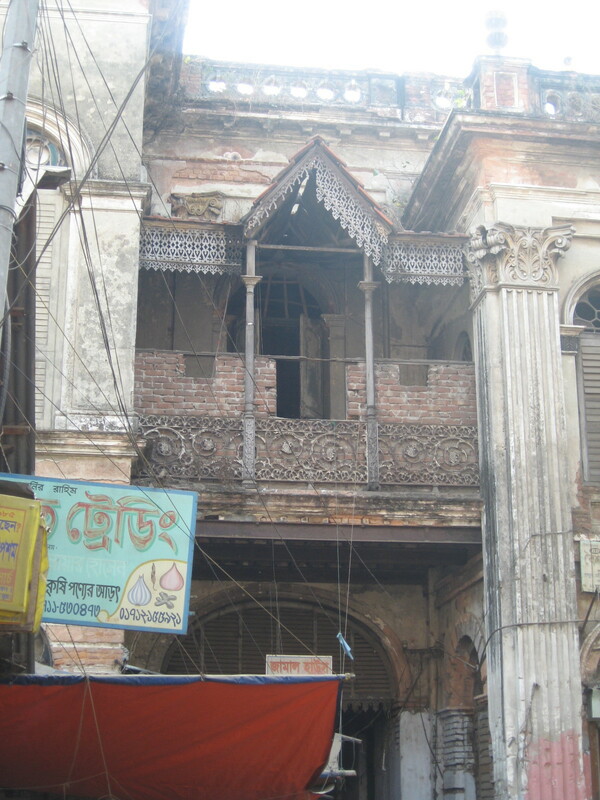 Architects too are desperately trying to hold on to the old buildings of Dhaka but sadly it seems there is little chance as developers sweep in. So far the government is uninterested.